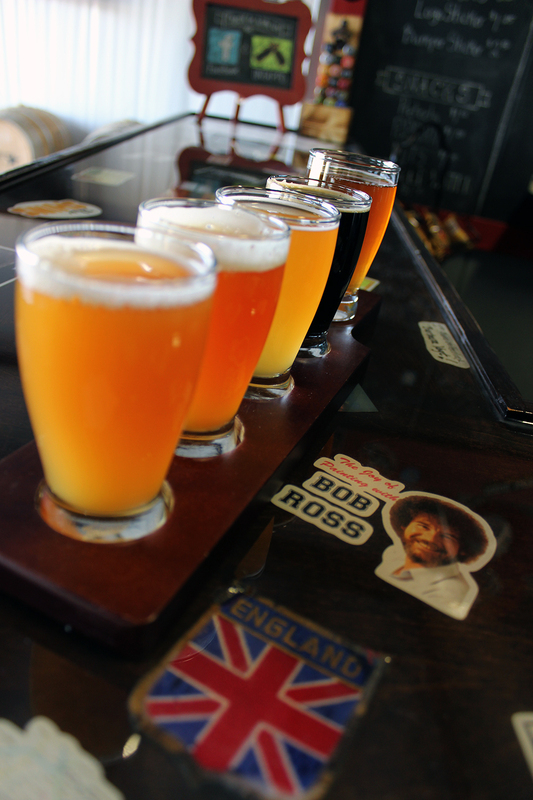 When the weekends come around and I happen to have days off, I do like to plan visits to different and new breweries. 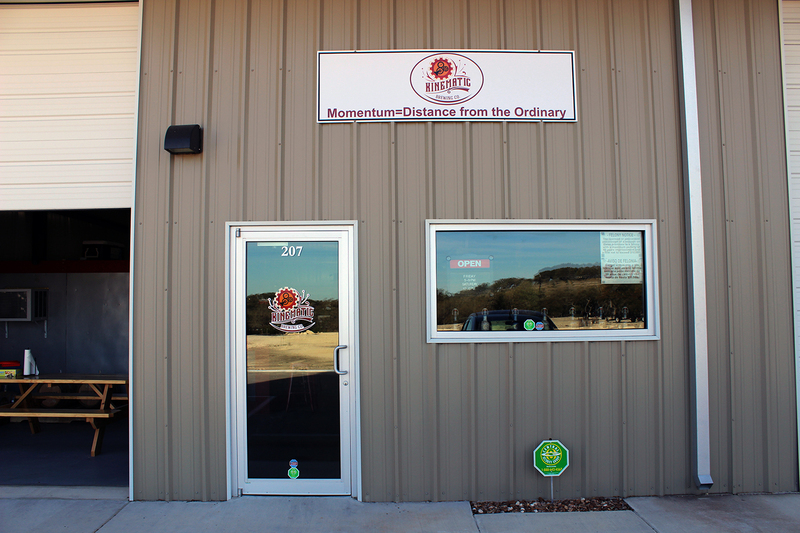 One Saturday, a few months ago I decided to visit the small hill country town of Boerne, TX, so I could visit a couple of breweries. 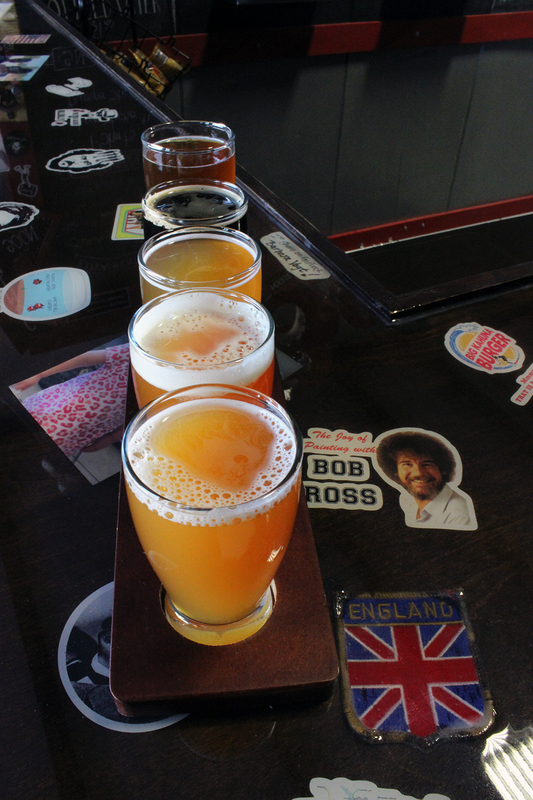 My first stop was to The Dodging Duck Brewhaus for some lunch and a few drinks. I did not bring my camera inside to snap some photos though, so I didn’t really include them in the Headline of this post. Next time I visit them I will be more prepared though. For now, please visit their website to check out what they have to offer. I will say this, though, we did enjoy our food and the flight of their house beers. 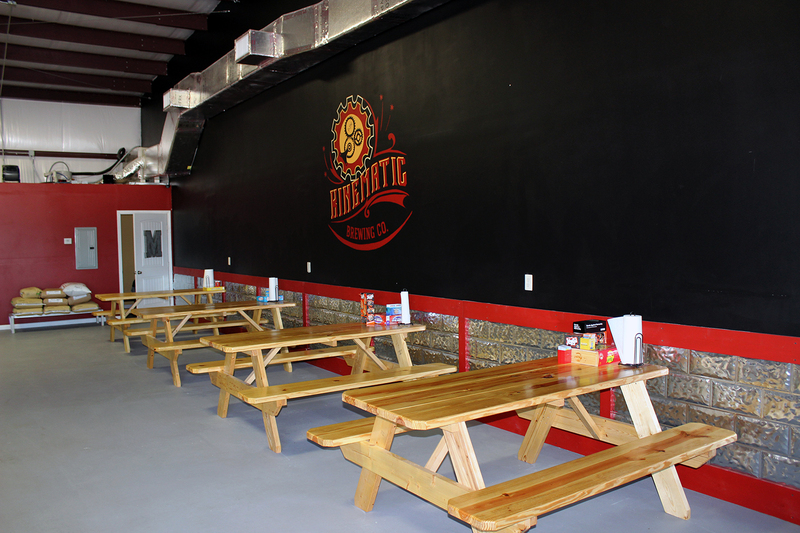 After our delicious lunch and quick stroll at River Road Park, next to Cibolo Creek, we ventured to our main stop on this trip, Kinematic Brewing Company. A quick 10 minute drive up Hwy 46 which is a nice scenic drive. 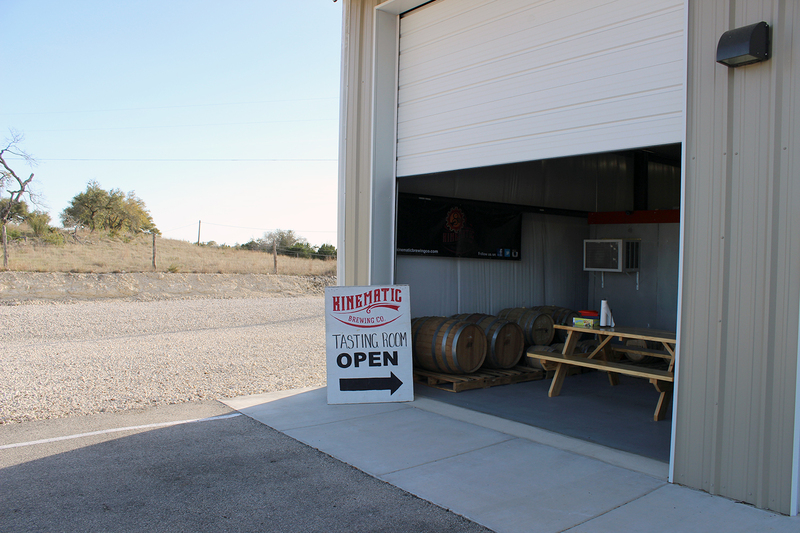 We pull up to a business center just on the side of the scenic hwy road, and make our way to the very far corner of the last building in the lot to pull right up to the door of Kinematic Brewing Co. We were the first and only car there at the time. We actually had to wait for them to open the doors. Sorry, I like to get places early! It was very nice on the inside of this brewery. They have this place set up and ready for a nice party! A good amount of picnic tables for the guests throughout their space. 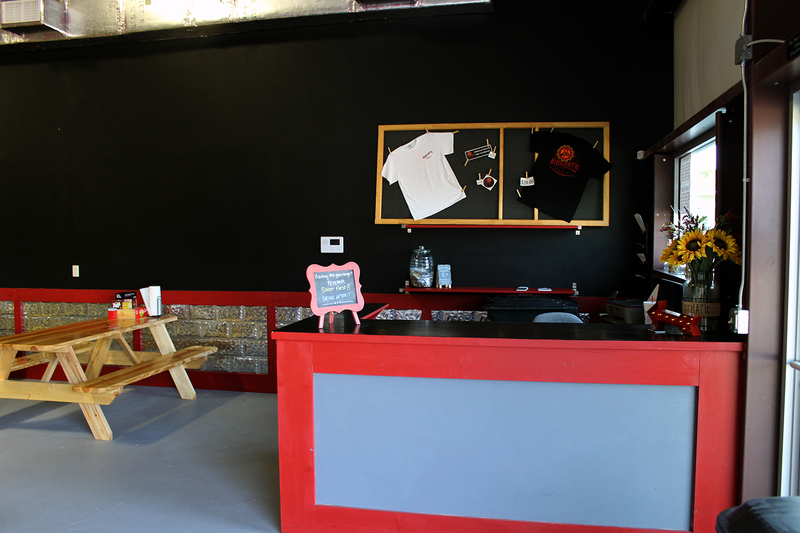 They have a nice corner L-shaped bar with a chalk board back drop with their current line-up written on there. They have 7 taps coming right off the wall of their beer cooler. 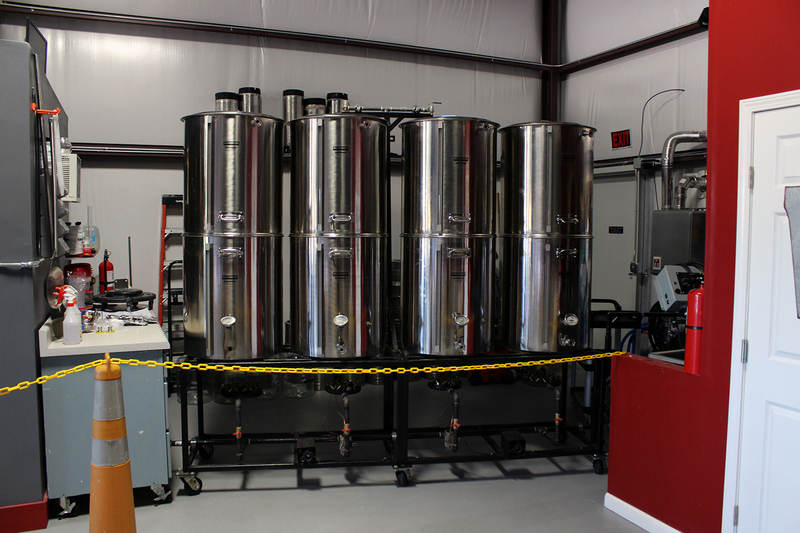 Their brewing system is nestled nicely in the far corner of their space. Oh yeah, and they have some of the coolest stickers, patches and cut outs spread out on top of their bar under the clear epoxy coating. We were met by the very nice wife of the head brewer, and co-owner, Jaime Beaumont. After the short introduction on who I am and what I do, I had a whole flight paddle and more sitting in front of me ready to be drank. 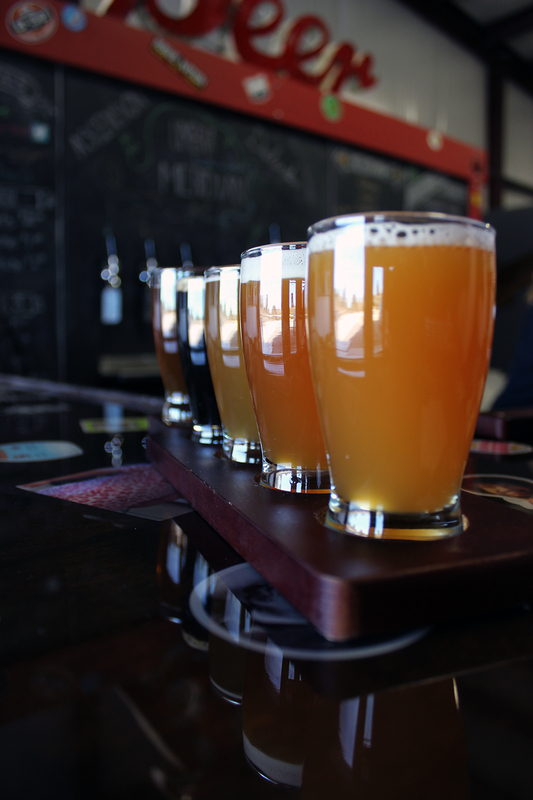 Rye Saison – 4.25 – I am a huge fan of rye in beer, as I am a fan of Saisons. This as a great combination, and the flavor profile was outstanding. Umbra Imperial Porter – 4.5 – Yup, a mighty fine Imperial Porter. So rich, heavy, and full of flavor. Excellent beer! 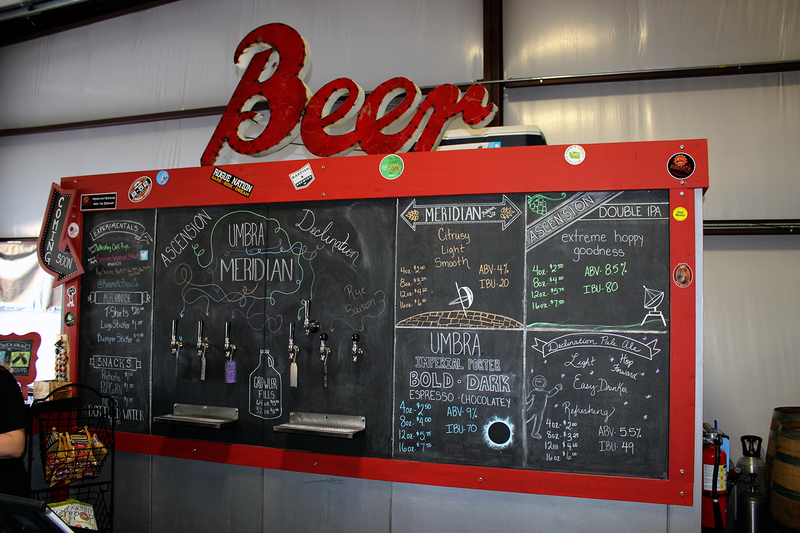 Meridian Belgian Wit – 4.25 – All the characteristics we all love in a good Belgian Wit were present. Great job on this beer. Declination Pale Ale – 4.00 – This one was a very hop-driven Pale Ale. Big floral notes. Ascension Double IPA – 3.75 – A decent Double IPA. It wasn’t too bitter, and wasn’t too malty. I was expecting more hop flavor though. Still a solid beer! I am glad I visited my Boerne neighbors. 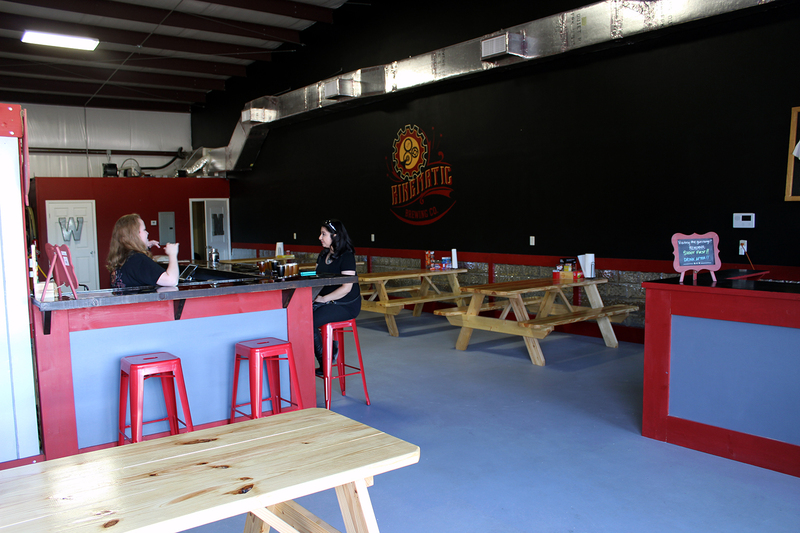 Since this visit, Kinematic and Mad Pecker Brewing, where I work, had booths set up at the Helotes 5k run, and we hosted a pint glass night with their Meridian Belgian Wit and Declination Pale Ale. Both were met with positive reviews. 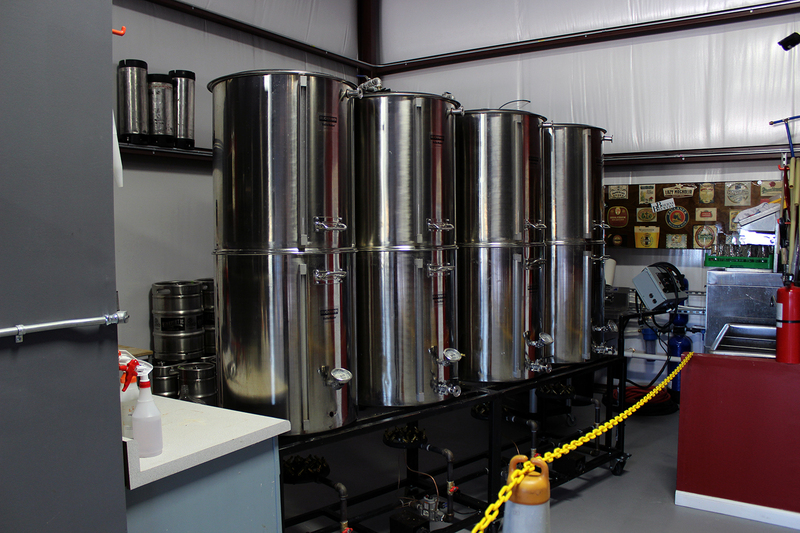 I look forward to working with them again, and I will definitely be visiting their brewery again, and keeping an eye out for their product around town.